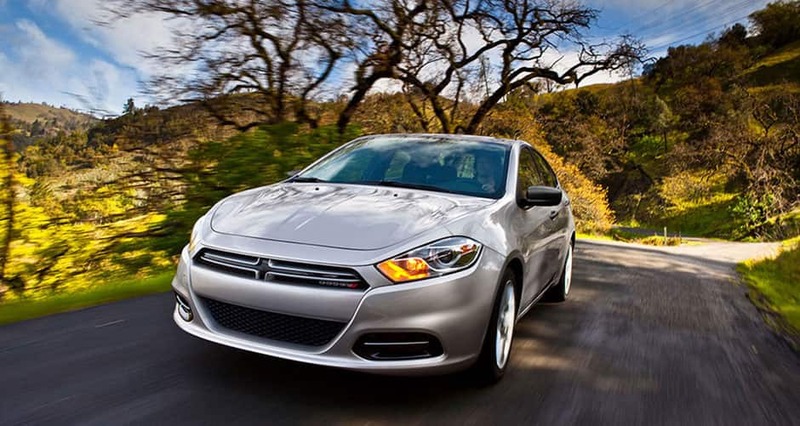 The Dodge Dart offers a great sporty alternative within the compact sedan segment. The Dart is based on the Alfa Romeo Giulietta, which is sold overseas by Chrysler - and Dodge's - parent company: Fiat Chrysler Automobiles. The Dart is a stand out on the market, competing amongst the likes of the Hyundai Elantra and Ford Focus. New features include improvements made to the SE model, which now includes Bluetooth, air conditioning, cruise control, and additional power equipment. There are a variety of powertrains available within the Dodge Dart, leading to sporty dynamics. The standard engine is a 160 horsepower, 2.0-liter four-cylinder engine with 148 pounds-feet of torque. There are two available engines, a turbocharged 1.4-liter four-cylinder with 184 pounds-feet of torque and 160 horsepower, and a 184 horsepower 2.4-liter four-cylinder with 174 pounds-feet of torque. The transmissions available include a six-speed manual transmission, a six-speed automatic (with the 2.0- and 2.4-liter engines), and six-speed dual-clutch transmission (on the 1.4-liter engine). The Dodge Dart is a front-wheel drive vehicle. The exterior is furnished with some great features, like your choice of 16-, 17- or 18-inch wheels, as well as a rear window defroster, heated side mirrors, fog lights, "racetrack" LED taillight surround, a power sunroof, dual exhaust tips and a grille styling that varies by your chosen trim level. On the inside, you will see a driver-centric cockpit, with a heated steering wheel, available heated leather seats, auto-dimming rearview mirror, 60/40-split folding backseat, and a folding backseat for increased cargo space. 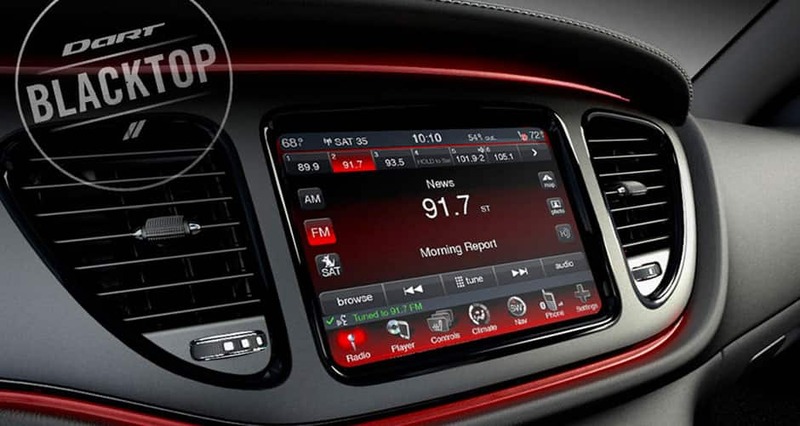 Integrated technology includes a 7-inch screen in instrument panel which can show the vehicle's information and radio settings, in addition to an 8.4-inch touch-screen in the middle of the dashboard, and a navigation system. The Dart can be equipped with a multitude of safety and security features to allow you to fully enjoy the ride. Standard features include antilock, front airbags, an electronic stability system, ten air bags, brake assist, and traction control. Available features include a blind spot warning system with rear cross-path alert, rear parking sensors, and a backup camera. Have a question about the super sporty Dodge Dart? Give us a call, and we would love to discuss this fabulous 2015 model with you! Learn more about this model on the Official Dodge Dart Website.